At a time when parents and residents of Marjory Stoneman Douglas High School in Parkland, Fla., are craving answers following one of the worst school-related mass murders in U.S. history, officials there are responding like typical Leftists. They lie. They distort reality. They give misleading statements. They sue to keep certain information — like surveillance video from the Valentine’s Day killings — under wraps. This is how the Left operates; in the shadows. Averse to transparency and arrogance, parents and residents of a stereotypical American public school district are finding out first-hand what it means to completely lose control over their public education system. As reported by the Sun Sentinel, which has been all over the Parkland school story, the most recent lie told by district officials — in this case, school Superintendent Robert Runcie — is that the alleged shooter, Nikolas Cruz, was not referred to an Obama-era ‘disciplinary’ program called PROMISE, which effectively shielded him from arrest and prosecution. “It would appear that the district is more interested in protecting their programs than they are the students and teachers in our schools,” Ryan Petty, whose 14-year-old daughter, Alaina, was killed by Cruz during his rampage through the school, told the Sun Sentinel. Runcie said the district is doing just that — complying with authorities’ requests for information as soon as the data can be gathered. So, are the parents just wrong? Is the sheriff’s department mischaracterizing the situation? Andrew Pollack, who lost his daughter Meadow to Cruz’s bullets, is upset and confused as to why the district is slow-walking documents to police. 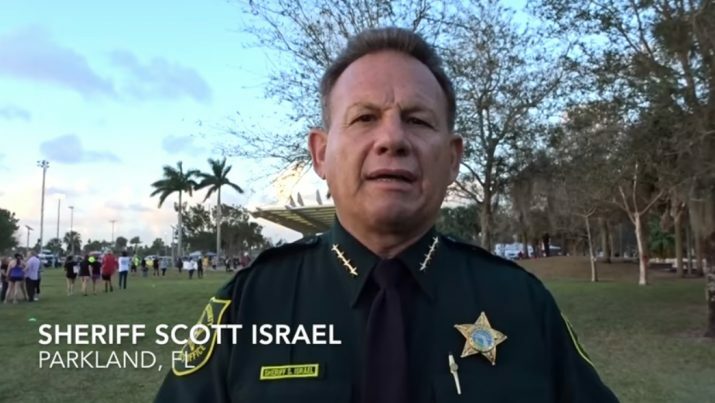 He said he asked a Broward Sheriff’s detective at a recent meeting of a state commission established to improve school safety if the department had all of Cruz’s records yet. Noted Pollack: “We didn’t believe it. It’s past two months now already. A lot of people on the committee couldn’t believe it. Stay current on this and other school shootings at Shootings.news.